Carded blend of Border Leicester gray wool, Icelandic dark grey wool and hemp. Wool & Hemp, 2 primitive fibers come together for a one of a kind spinning experience....the possibilities are endless! The wool has a staple length of 5 inches and the hemp fiber is approximately 4 inches. These 2 fibers work well together and produce a very strong yarn/material that is soft and supple. 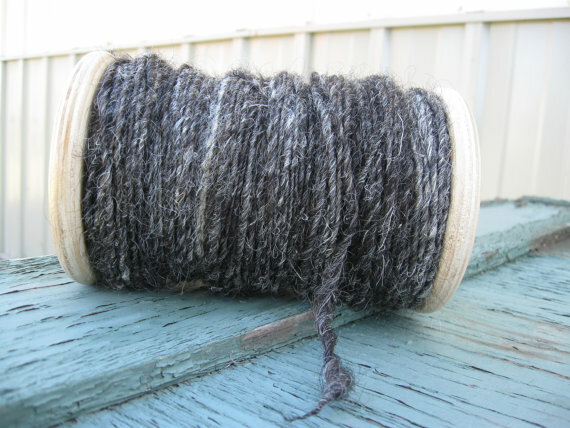 You are purchasing 4 ounces of this dark grey and natural blend which is thoroughly carded and ready for spinning or felting.